All the fruit flavor and potency of our beverages in a bite-sized lozenge! Fruit Sparks come in a twin pack so you customize your dose. Sublingual absorption allows cannabinoids to enter the bloodstream more rapidly for faster relief. 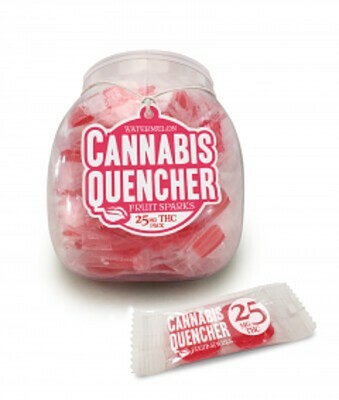 25mg THC per pack. 12.5mg THC per piece. Ingredients: Sugar, Corn Syrup, Cannabis Oil, Natural and Artificial Flavors and Colors.